This week I have something very exciting to show you all (so exciting that I may actually have let out a little 'squee!' when the proofs came through last month): Mr Men and Little Miss sweaters! 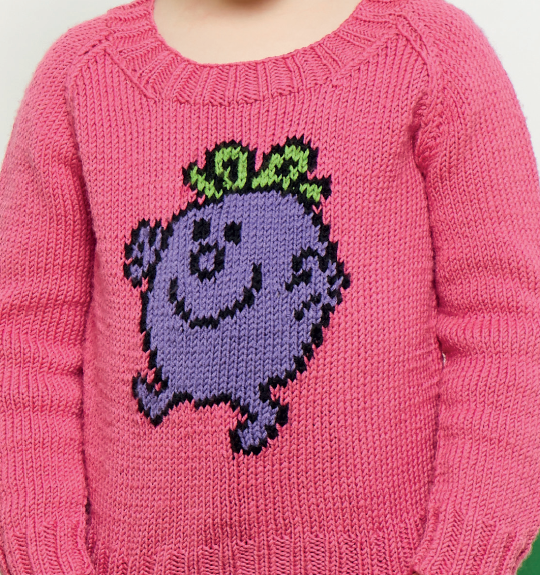 At the start of the year Kate from KnitNow emailed me to say the magazine had a license to publish patterns for two Mr Men jumpers, and asked if I would like to do the designs. I love the Mr Men and Little Miss characters (to the extent that I hand-drew a set of playing cards featuring them when I was younger) so leapt at the chance. The characters selected were Mr Bump and Little Miss Naughty, two of the classics, and I really enjoyed the design work – the bold lines and bright colours are perfectly suited to intarsia. 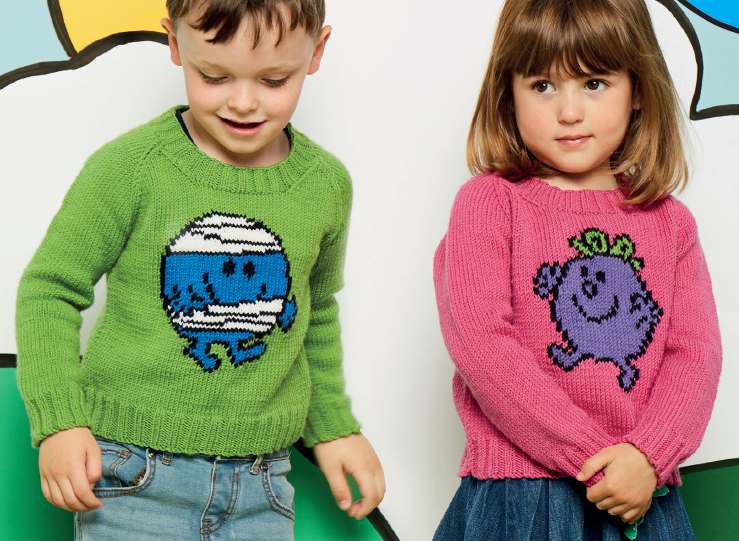 The pattern is the same for each jumper, you just choose the chart you want to use and start knitting. The jumpers are knitted flat with 2 x 2 ribbing for the hem and cuffs. The jumper is then seamed and the 2 x 2 ribbing neckline is knitted on in the round at the end. The jumpers are written in five sizes from 2 to 10 years, to fit chests from 53 to 71 cm [21 to 28 in] with 5 cm [2 in] positive ease. The sweaters are knitted in PatonsMerino Extrafine DK. * The yarn is 100% merino wool and is lovely to knit with; it also comes in a huge array of colours, so if you'd prefer to knit the jumpers with a different colour background you'll have plenty of options. 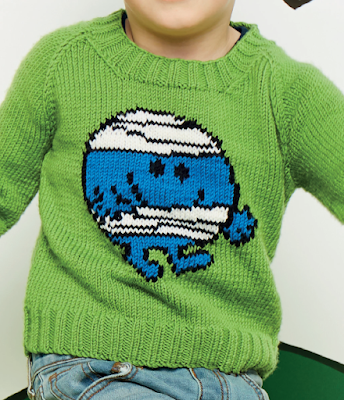 And it's machine washable and can be tumble dried; perfect for children's wear. **Owing to the license, the supplement is only available in the UK, and will not be available with the electronic versions of the magazine.